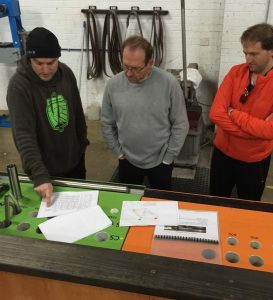 A visit to Baum Cycles – Darren Baum, fellow bicycle fan David Marquet and JP. We know innovation often happens in unlikely places and creativity thrives on constraints. Last year one of the great people we spent some time with was retired nuclear submarine captain David Marquet. I don’t want to spoil the whole story, for that you need to read the book. But … within the confines of a long metal tube full of people and a nuclear reactor which stays underwater for 3 months at a time he ended up learning a bunch of really important stuff about people, models of leadership and how we move on from command and control. Convincing leaders that we need to move on from command and control is the first step. Sometimes that’s easy, sometimes it’s hard. The next part, the changing part is always hard. If our people and organisations are conditioned to work in a strict heirachy then it’s not as simple as just giving that structure up and ’empowering’ everyone to make their own decisions. Like any new skill we need to learn how to work in a new way a little bit at a time. David describes this challenge for leaders as slowly giving up control as you build capability and context in your teams. 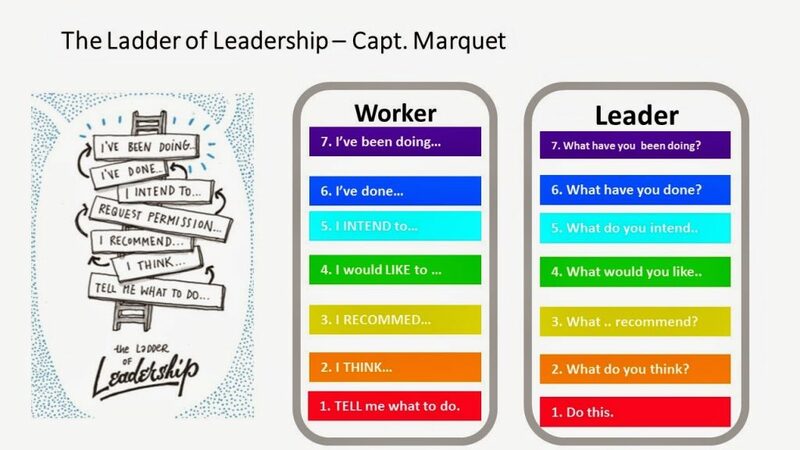 One of the practical approaches they developed was a model of communication called the ladder of leadership. We don’t start by trying to take the other person we’re communicating with (boss or subordinate) the whole way, but just to step one run up the ladder. I ask my boss – “Tell me what to do about the problem with marketing ?” – instead of telling me what to do my boss says “Tell me what you think about the problem with marketing ?” … And so-on up the ladder over time and interactions until I’ve built up the capability and context to make a good decision independently. Engaged and enrolled.